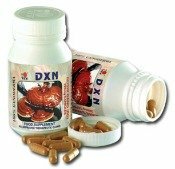 treats diseases like rickets, eczema and psoriasis. But how much radiation do you actually need everyday to get those positive effects? Only 5-15 minutes exposure to the sun's UV rays is already sufficient for Vitamin D production and proper blood circulation. More than 15 minutes can lead to harmful effects. Both UV and ionizing types of radiation are responsible for skin cancers. If you love being under the sun, be sure to have sufficient protection against . 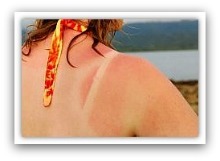 . .
Suntan is considered a downside of over exposure to ultraviolet radiation. Back in the 1970s and 1980s, everyone wanted to be tanned. They called it “healthy tan”. The truth is, the tan you get after being exposed to the sun's ultraviolet rays is just a sign that your skin has been damaged and has tried to protect itself. The color tan you see is actually melanin. Melanin is your own skin’s natural and first defense against further damage from the effects of ultraviolet radiation. But remember that the natural melanin of your skin is not enough to protect you from one of the world's most common cancer today. You need a good sunblock lotion. Related Article: How Does Sunscreen Work? Wrinkles are just one of the side effects of the sun's ultraviolet radiation. Your skin ages faster after frequent and long exposure to the sun's UV rays. What UV radiation does is it stimulates rapid growth of cells in the epidermis or its outer layer. The epidermis thickens as more and more cells are produced. The UV radiation then digs deeper into the skin layers disturbing the connective tisssues. When this happens the skin slowly loses its elasticity. That’s how wrinkles happen. Sun spots are also called age spots. They are dark patches on the skin caused by the over-production of melanin. They are also results of long-term damage caused by ultraviolet rays. This is another one of the harmful health effects of ultraviolet radiation. When you get sunburned skin, it means the cells in the upper layer of your dermis has been killed and those that may have survived have been damaged by the sun's UV rays. the other one that makes it painful to touch and causes it to blister and peel. Going out under the ultraviolet rays of the sun without any protection leads to harmful effects such as sunburn. If you keep exposing yourself unprotected, you will always get sunburned and cause deeper damage to your cells. Some people have a skin condition that is highly sensitive to the side effects of ultraviolet radiation even in small amount. If you are taking medications such as painkillers, anti-diabetics and antibiotic and you are always exposed to the sun's ultraviolet rays, your skin is particularly more sensitive. Some products like fragrances and soaps may also contain ingredients that cause or worsen the photosensitivity condition. When your skin is extra sensitive, prevention against the risk for the deadliest form called melanoma is harder. Always make sure you are 100% protected. Want some steps on how? Check out: How to Prevent Skin Cancer. Frequent over exposure to ultraviolet rays can lead to these chronic conditions which can trigger cancer cells to develop in the skin. The dangerous effects of ultraviolet radiation are not limited to your skin. They affect your eyes and the immune system as well.